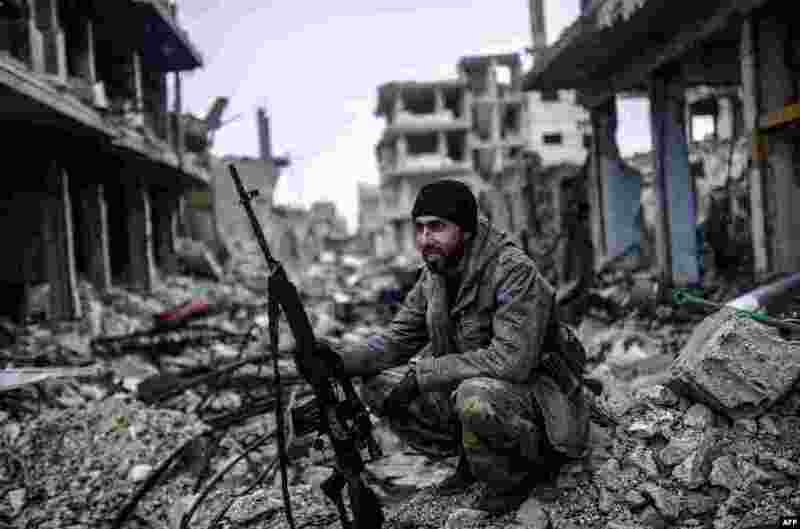 5 Musa, a 25-year-old Kurdish marksman, sits in the rubble of the Syrian town of Kobani, also known as Ain al-Arab. 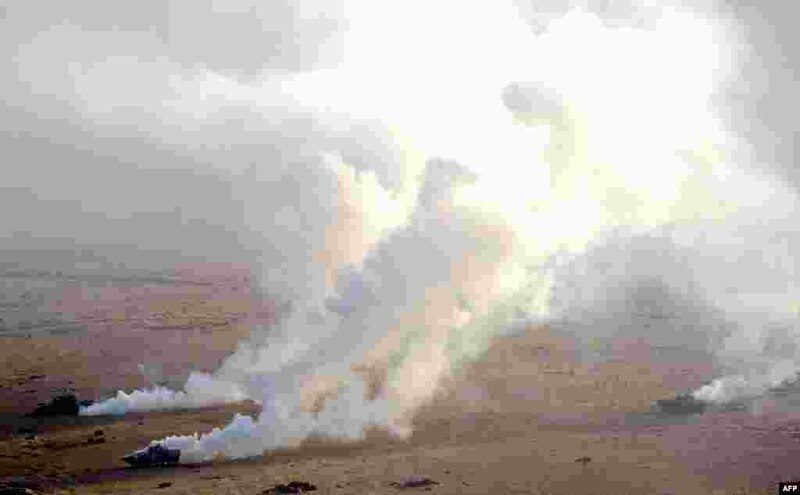 Kurdish forces recaptured the town on the Turkish frontier on January 26, in a symbolic blow to the jihadists who have seized large swaths of territory in their onslaught across Syria and Iraq. 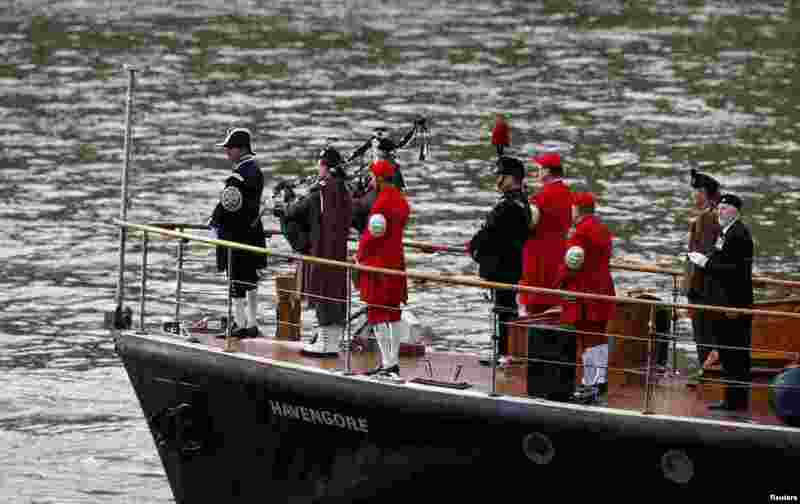 6 The 'Havengore', which carried Winston Churchill's coffin along the Thames, makes the same journey with members of his family onboard to mark the 50th anniversary of his funeral in London. 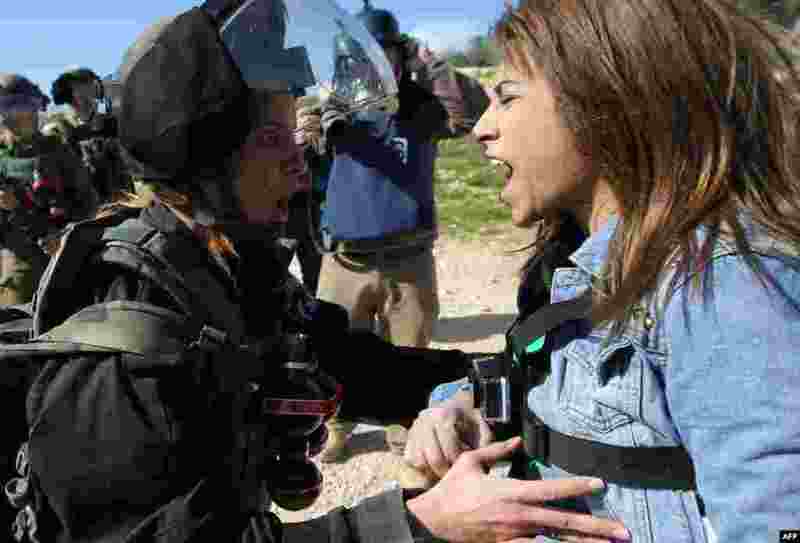 7 Palestinian activist Lema Nazeeh argues with an Israeli soldier during clashes between security forces and Palestinians from the West Bank village of Bilin, following a march to protest against Israeli settlements, in Bilin, west of Ramallah. 8 Georgian army tanks take part in a military exercise near the Vaziani military base close to the Georgian capital Tbilisi. NATO Deputy Secretary-General Alexander Vershbow arrived in Tbilisi for a two-day visit regarding Georgia's prospective integration into the alliance.